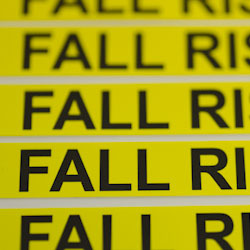 Our Fall Alert Wrist bands are waterproof polyester wrist bands and are more durable and secure than Tyvek wrist bands. They are stretch-resistant and strong, yet lightweight and flexible. They are ideal for multi-day use and/or rugged wear. They come in vibrant, solid colors for excellent visibility and identification. 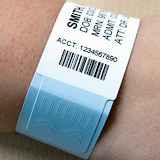 EasyID offer Hospitals a high-performing polyester latex-free wristband for quality patient care. They are a time-tested and proven performance band for positive patient identification. The secure sealed adhesive closure is also an added security bonus.